Slot games and strategies explained for newcomers to the slot scene. Reading this overview will help understanding some of the peculiar lingo used in slot play and you will learn helpful hints and tips along the way. 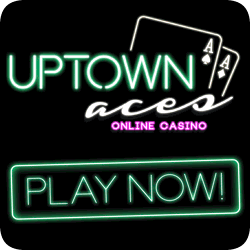 Standard or Basic slots with a single payline and constant jackpot. Progressives that offer an ever-growing jackpot. 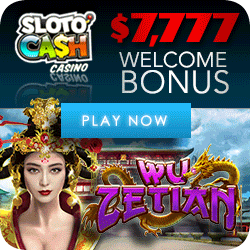 Bonus Slots with features that include multi-spins, five reels, multi-lines, bonus games, etc. Standard or basic slot machines have a fixed jackpot that never changes. The pay line for basic slots is the single red line on the window where you see the reels spinning and stopping. You win or lose depending on what symbols stop directly on this pay line. Standard slot games with a relatively small-to medium-sized jackpot generally hit a winning combination more frequently than those offering a huge top prize. Here are three examples of basic categories. You will soon understand why knowing about slot games and strategies is important. These are machines with “double” symbols. If you get a winning combination that includes the double-up icon, the payoff amount is doubled. And it gets better. If the winning combination includes two “double” symbols, the payoff is quadrupled! The popularity of Double slot games has spawned all kinds of “times pay” machines. We now have two times, three times, five times, and even ten times machines. When a times symbol appears as part of a winning combination, you receive double, triple, five times or even ten times the listed amount. Line up two symbols on a winning payline and you collect four times, nine times, 25 times or 100 times the amount. So, a 20-coin payout on a 3-times pay machine becomes 60 coins with one “3x” symbol and 180 coins with two “3x” symbols on the payline. Before you get overly excited, realize that because of these increased amounts, payouts will occur less often. Be prepared for longer dry spells. Two-times pay is acceptable, but 3x, 5x and 10x pay machines are too volatile and are not suitable if you’re aiming to protect your bankroll. The approach to winning on a five-times slot games machine is to select a low-to-medium payback amount and make it your “target jackpot” amount. Look for a pay table that offers several win possibilities in the 300 to 1,500-coin range. Simply multiply the numbers displayed by five and 25. Hope you will line up a decent winning combination that includes one 5x symbol, but don’t count on getting two 5x symbols at once. 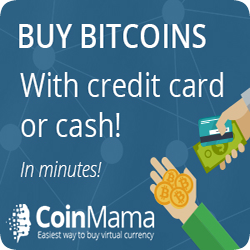 Based on that, you might make a 60-coin payline your target. If it hits with one or two 5x symbols you’ll collect 300 units or 1,500 units respectively. Playing time is important on a 5x machine. The longer your bankroll lasts, the better your chances of lining up a sizeable score. So, the strategy for winning when playing a 5x game goes like this: From the machine’s expanded pay table select a win target that is about 50% greater than the number of coins you are willing to risk. If your bankroll is 200 coins, you select a 300-coin payout as your win target. The likelihood of hitting your target rises in proportion to the number of spins your bankroll lets you make. Play until you either win your target amount, or until all of your starting bankroll is gone. Because of the lower hit frequency, you have to replay all smaller wins, enabling you to stay at the machine as long as possible. Give yourself a maximum number of chances to line up that winning combination. The moment you hit your target, quit the machine at once. You will have recovered your entire starting bankroll and show a significant profit, Pat yourself on the back for being a smart player and cash out. “Wild jokers”, “wild cherries” or other “wild” images should not be confused with double-up symbols. They simply substitute for any other paying symbol, but they do not always double the payout amount. Once there were only lottery tickets to build dreams on. Then the slot manufacturer, IGT, with the loud approval of their casino clients, introduced the first progressive slot in March of 1986. 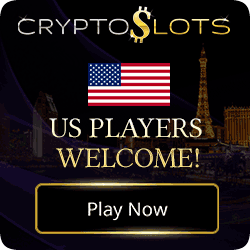 This network of slots was connected locally, then expanded to participating gaming states, nationwide and now there is an international link, WAP (wide area progressive), that reaches into Canada, Europe and Asia. An individual progressive machine is a self-contained unit. It does not participate in or contribute to jackpots of any other machine. As the name implies, linked progressives are groups of machines that are electronically hooked up to contribute to one common jackpot that can grow quite large. Hitting the jackpot on one of these machines is the stuff of everyone’s dreams. Hundreds of machines, located in many different casinos, perhaps worldwide, all feed that giant pot of gold. Your odds of winning those millions are about the same as those for winning a state lottery. But then, someone always wins the lottery too. IGT, followed by Bally and Aristocrat, are marketing many versions of progressive slots under familiar names that include Megabucks, Jeopardy, Wheel of Fortune, Quarter Million and Cash Express. There are plenty more progressives to choose from. Some casinos install exclusive or proprietary slot games progressives. The big name at land-based casinos is Megabucks, linked to casinos nationwide. You must play three dollars each spin to be eligible to win the millions. Many players are not aware that there are two levels of progressive jackpots – primary and secondary. A primary jackpot is the top prize award with the specific combination being hit. In the case of Megabucks, these are the Megabuck symbols, which, when lined up correctly, produce a bountiful payday. This top jackpot is displayed with the biggest sign and numbers above the carousel or bank of machines. Secondary jackpots are displayed on smaller screens mounted below the big screen of the primary jackpot. These are hit more frequently and therefore will not payout as large a sum of money. Before playing any single group of progressives, check out the primary and secondary jackpots, and then compare other surrounding progressives to see how high those jackpots are relative to their starting amounts. In land based casinos the majority of jackpots over $250,000 are paid out in annual installments. Online high-dollar progressive slot games are usually instant wins. Here is a huge progressive jackpot just waiting to be won! 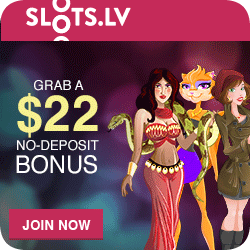 This slot type has evolved the most both online and off. The name Bonus says it all. The main goal of these games is to spin the reels to win a second chance bonus round where the real money is. When you approach a Bonus Slot you will immediately see many more graphics than a basic slot or progressive with 25 symbols or more filling up the screen in front of you. These machines feature five, nine or up to 50 paylines. The Australian manufacturer, Aristocrat, stepped forward first with multi-lines. Aristocrat’s special features included roaming wilds, free spin-bonus play, repeat wins plus hold and spin. The RNG (random number generator) is still very active even when the machine is idle and the number of possibilities with these graphic-rich bonus slots is staggering. Payouts are much more frequent on bonus slot games, usually every two to three spins. Read all information posted. I know you have heard this before but with many more payout options, this is important. Take a look at the help menu that explains game rules, winning combinations/payouts and pay lines crisscrossing the screen grid. There is an attractive sprinkling of wild, scatter-pay symbols and free spins that increase your winnings. You should definitely activate all paylines in order to gather the many payout combinations. Best strategy: try one or two coins per line; therefore, a spin of 9 or 18 pennies or nickels is not an expensive wager. As you build your winnings, take some risk with the occasional maximum spin. Within this category is what I call Wild X Multiplier Bonus Reel machines. Wild symbols, (usually in the name of the version) are scattered about, multipliers, (2x, 5x, 10x pay+) and free spins that result in additional payouts. These versions also offer frequent hits/payouts, often every second spin. Another example are Hold and Re-Spin Bonus Slot games where the player holds the reel results while the other reels spin unassisted resulting in additional credits. Generally, the payout for wild symbols is activated by the third coin/reel. 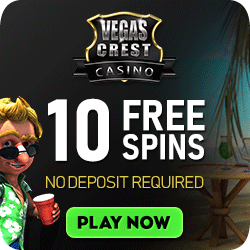 Five and nine paylines and ample pay tables are available with features of mini, midi, top and mystery jackpots, free spins, multipliers, top box bonus and free re-spins. Bonus round top points should be a contributing factor in selecting bonus types/versions. Bonus secondary jackpots can produce more than 10,000 coins and primary/top jackpots 100,000+ coins. This is important, as one Bonus version will pay more than others will and should determine your choice and denomination that fits your money management plan. I hope you are glad to have read this article about slot games and strategies. Remember though, knowing about slots, how they work, and how to play them is NOT the most important thing here. Working out your available gambling money so that you have fun filled and worry free gambling sessions ranks right up there too!